Emotiv Neural Controller Now Available | OhGizmo! Motorcycle With A WWII Fighter-Inspired Sidecar – Why Ask Why? We got a hands-on look at Emotiv’s EPOC neural controller back at the Game Developer’s Conference in 2008. The idea is that you put this funny looking thing on your head, and it reads your brain waves and translates them into commands for your computer. 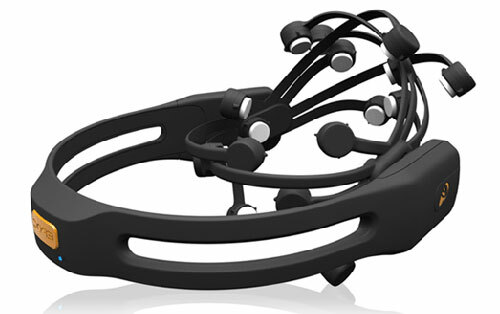 In addition to 14 separate sensors, the headset has a gyroscope that can keep track of where your head is pointing. Hypothetically, it can interpret abstract commands (thinking “up” as opposed to thinking “down”) and read muscle commands (like blinking or smiling). The demo version I used at GDC didn’t work very reliably, and I wasn’t sure whether it was the hardware, the software, my brain, or some combination thereof. When it did work, though, it was incredibly cool. Like, Clint Eastwood in Firefox cool, except with less needing to think Russian. Or, like the Mattel Mindflex, except a lot more sensitive and with many more options. So far, you can’t do much with the headset… You can play a game or two, or control a virtual keyboard. Emotiv seems to be hoping that they can sell dev kits and someone else will do all the program the interface work, which would be great if it happens, but it’s already been a couple years. In the meantime, though, you can buy yourself your own headset (and download a few programs that work with it) for $299. Yes, dollhouse is just around the corner. This reminds me of the jedi toy from thinkgeek. I agree, I hope someone does take them up on the offer of doing projects with it.